Dynaguard installs a wide array of high performance floor coatings. Various systems are designed to meet your floor coating requirements which include: high chemical resistance, UV stabilization, Electrostatic Discharge (ESD), high gloss, and much more. 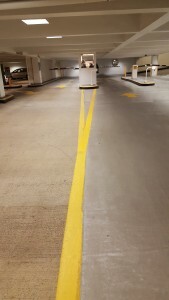 These systems have various applications such as commercial kitchens, traffic coatings, auto shops, restrooms, aviation shop floors and high profile areas where aesthetics matter most. 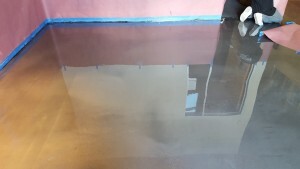 High levels of moisture below or in concrete floors is one of the most common issues causing flooring systems to fail. Dynaguard applies moisture barriers that bond to the concrete substrate and block the transmission of moisture through the slab that can lead to floor system failure. Monolithic, fully bonded concrete coatings that keep water out of areas where it could cause unwanted damage.